Come visit Sorama at the Taiwan Innotech Expo 2018 on 27, 28 or 29 September 2018! You’ll find us at the International Zone, Booth no. 11. Taiwan's and the World's latest and best innovations gather the coming days (27-29 September 2018) in Taipei for the Taiwan Innotech Expo. TIE is all about Future Technology, Innovative Invention, and Sustainability. Sorama is present with a booth as well: Make Sound Insightful. We will show-case the Sorama CAM64 with the latest Portal features for getting you going with sound design and engineering with the lowest boundaries (usable, best insights and pricing). Also, the Sorama Listener64 for monitoring the sounds from your city, factory and process is present. We make sense out of sound, create unique insights into traffic, pubstreets, machinery and when they require your attention. Come experience the power of sound visualization, localization and classification. You may find Sorama at the "International Zone", booth no. 11 at the Taipei World Trade Center Hall 1. 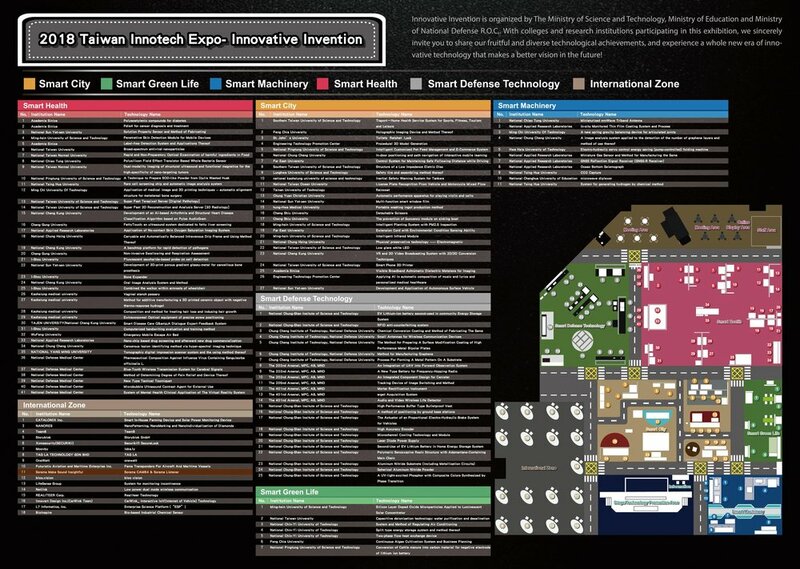 Click on the image below to see the Innovative Invention Map , or download it by clicking here. Come visit Sorama at the International Zone, booth nr. 11. The Taiwan Innotech Expo 2018 will take place from Thursday, 27 September up and to Saturday, 29 September 2018.